Whilst you can just come and ride the event, we also encourage you to take the opportunity to raise money for any good cause or charity that is close to your heart. Be it one your employer or company support or if it is something that you help as an individual. We would love you to use this event to help them. If you are looking to raise your sponsorship online we would recommend using MyDonate, they are a fundraising service that doesn’t take commission. With MyDonate, your charity gets more of your donation– as well as the full 25 per cent Gift Aid – with no fees beyond those charged by a donor’s debit or credit card company. 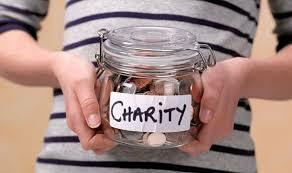 They give up to 63p more for every £10 given through MyDonate when compared with other online fundraising services. We have Zoes place as our event partner for 2019 if you would like to raise sponsorship for Zoes Place we have a number of free places that we can give away. Please contact Marc Dwyer at Zoes place to get your code prior to entering; they will also give you help and support on how to raise your sponsorship.